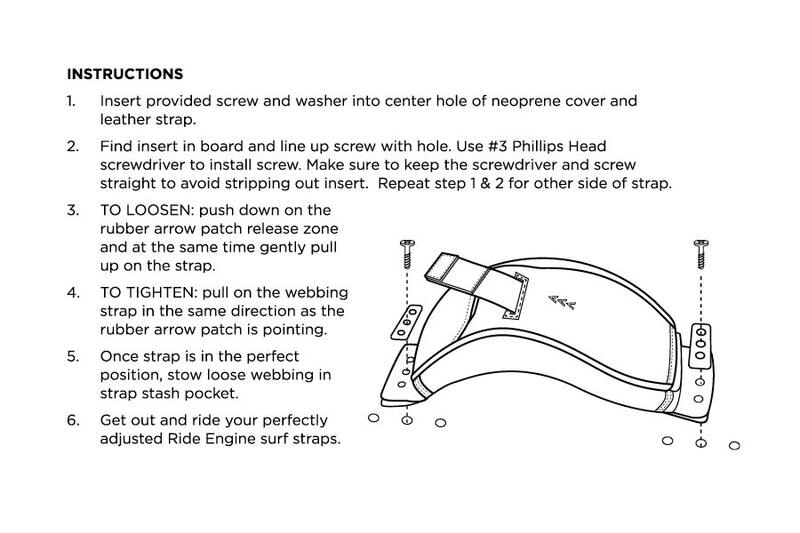 How to install surf straps on your wakesurf hydrofoil board. Do this properly to minimize the potential of damaging your gear! Watch this quick how-to slideshow for installing surf straps onto your wakesurf hydrofoil board. Be sure to follow the steps carefully. It is super important to run your mounting screws through the anti-twist plates AND the beefy strap webbing – not just the leather tab. The hole in the webbing can be found under the neoprene cover at the end of each surf strap. The screw must run through the anti-twist plate, the webbing, and finally through the little leather tab on the underside of the surf strap. Make sure you don’t skip the webbing! If you only run it through the bottom leather flap, your surf straps will fail. If you have already made this mistake (broken tabs), it’s not game over! You can still follow steps one and two from this slideshow, and run it through the main webbing, skipping the bottom tab. It might twist a little, but it will not fail. Make sure to check your screws frequently.